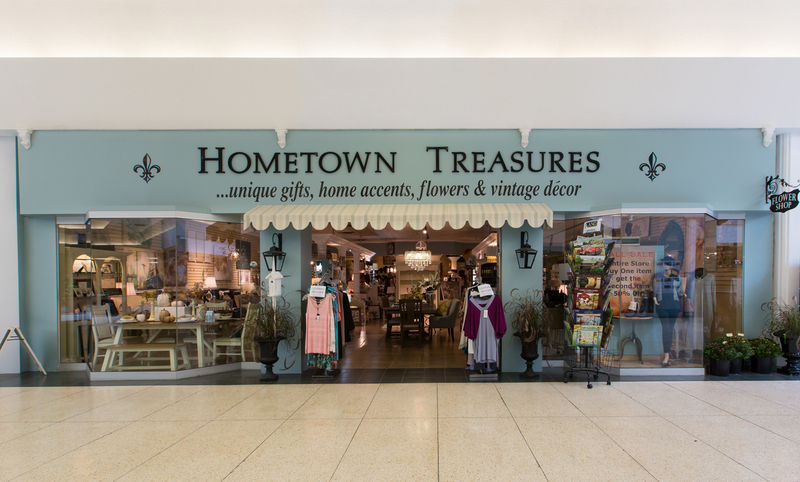 Hometown Treasures is your unique gifts and home decor store!Our New store now has Fresh Flowers along with French country/vintage furniture - decorative accessories - pillows - throws - clocks - prints and frames. Shabby Chic - The essence of shabby chic style is vintage and antique furniture painted white (or another soft pastel color) and distressed at the corners by sanding. Pink - mint green - and soft aqua are also popular colors seen in accessories and fabrics. Popular decor items are pillows made of vintage barkcloth fabric - vintage linens - vintage chandeliers and anything with roses on it. It is a soft - relaxed feminine romantic way of decorating that looks comfortable and inviting. Also called Cottage style.